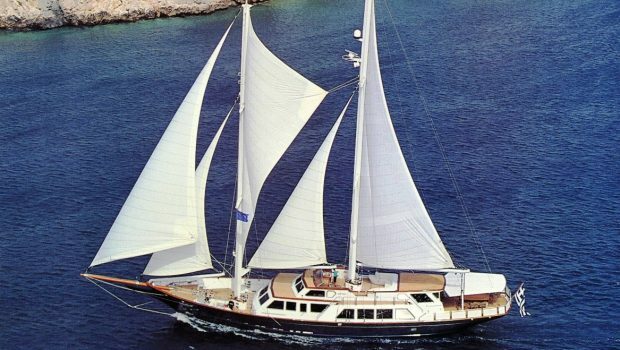 This unique steel schooner is 123 Feet long including her bowsprit. 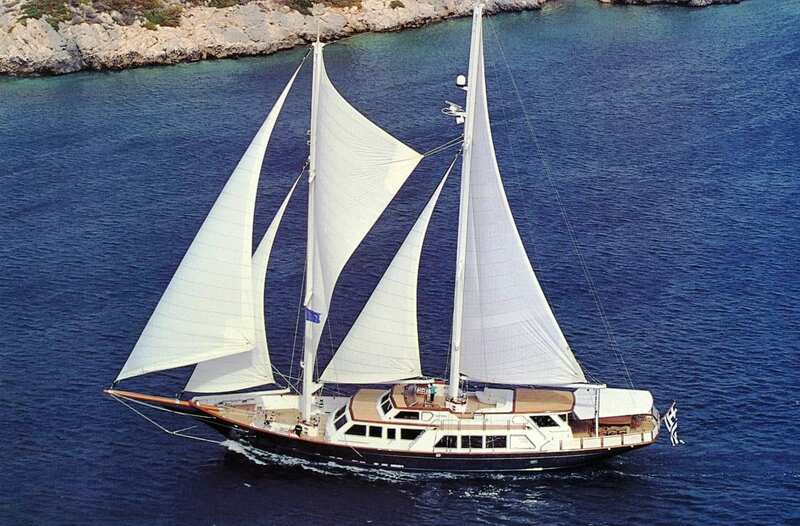 Her lovely design is Andrew Winch Designs. 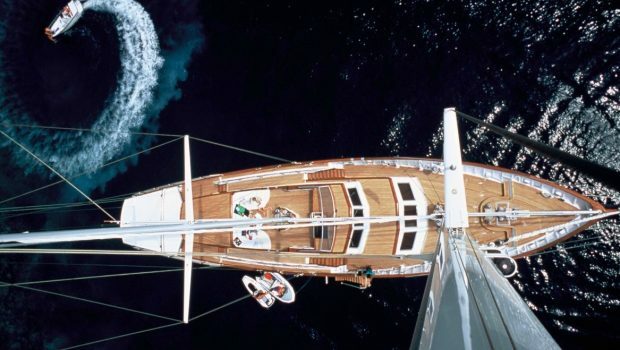 She cruises at 10 knots, smoothly with stablizers. 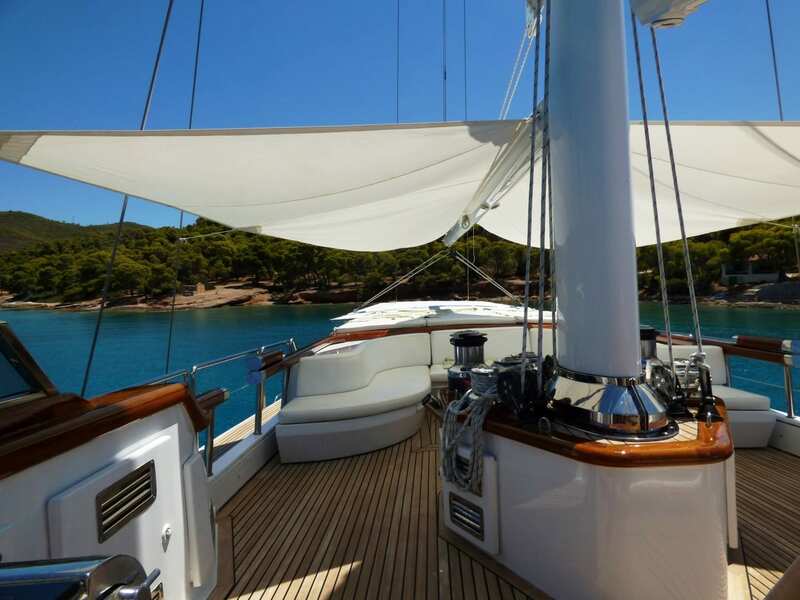 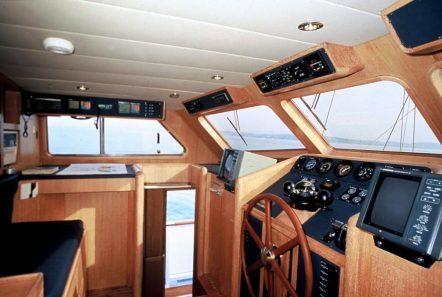 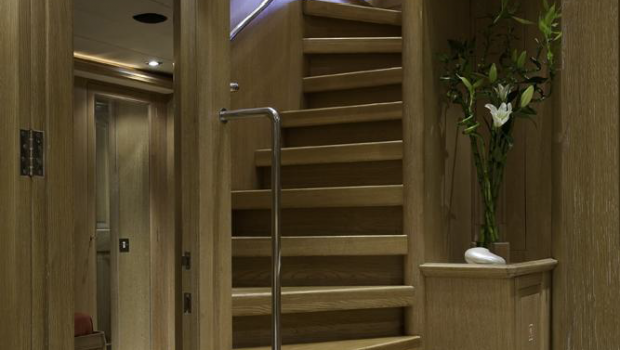 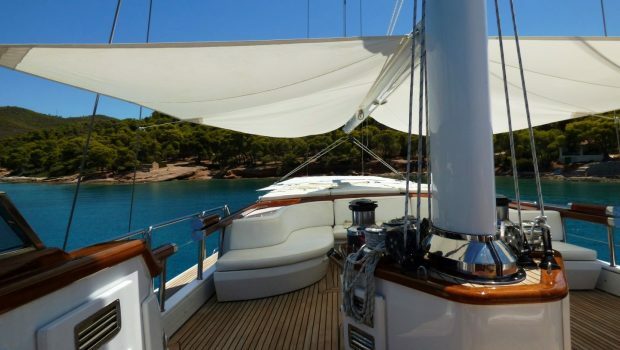 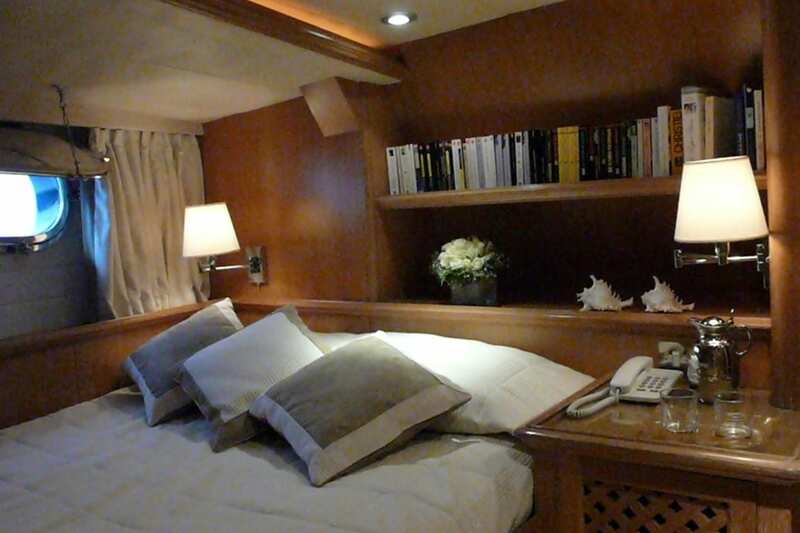 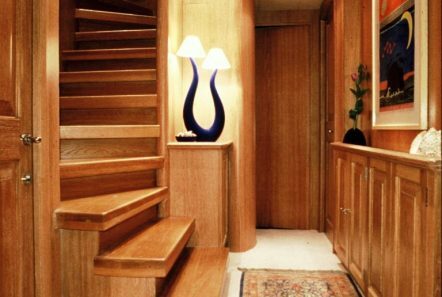 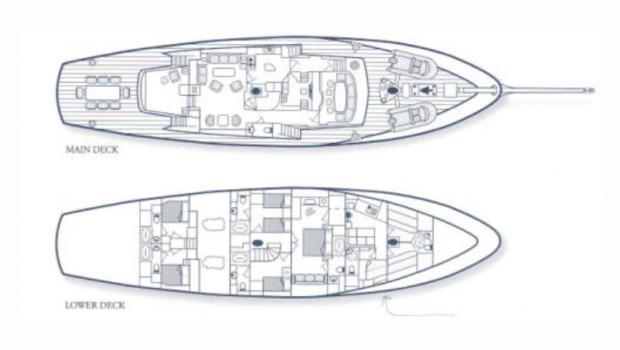 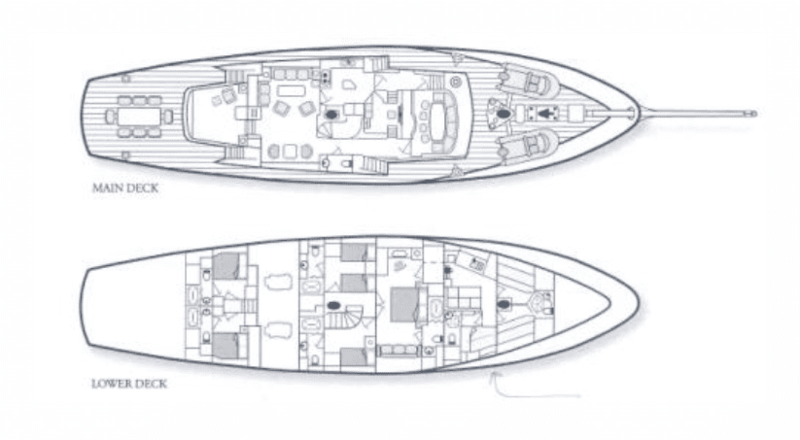 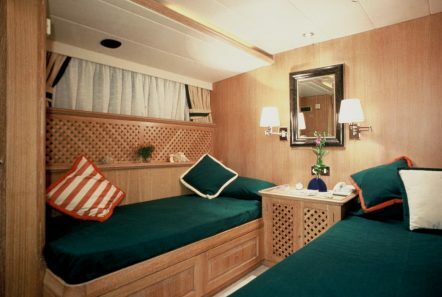 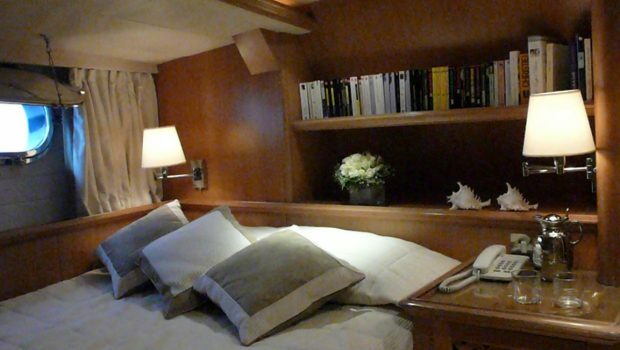 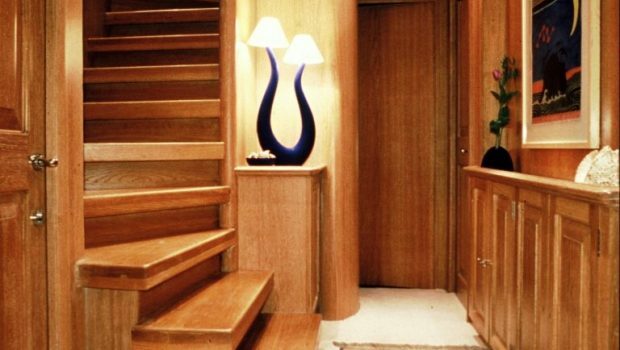 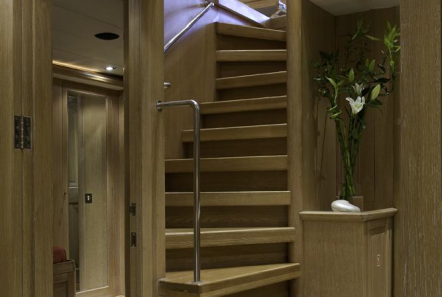 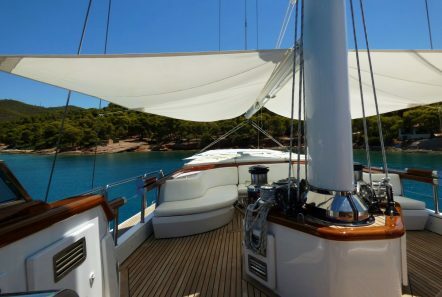 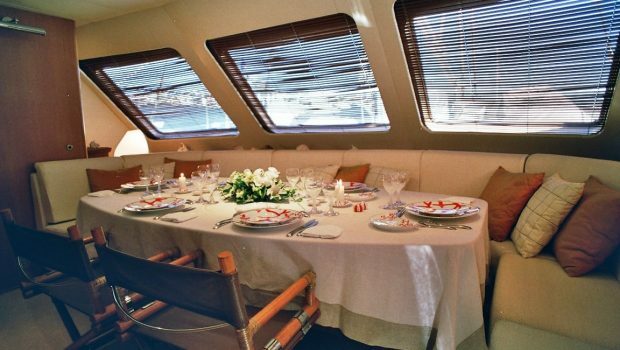 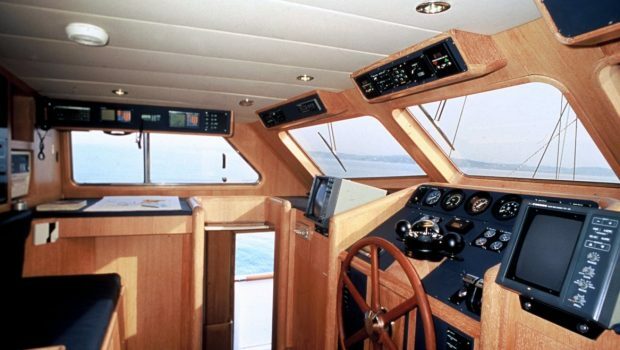 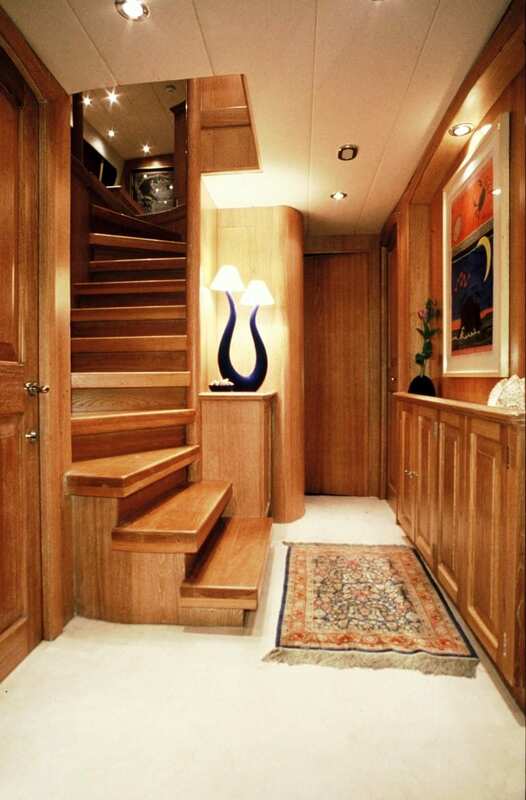 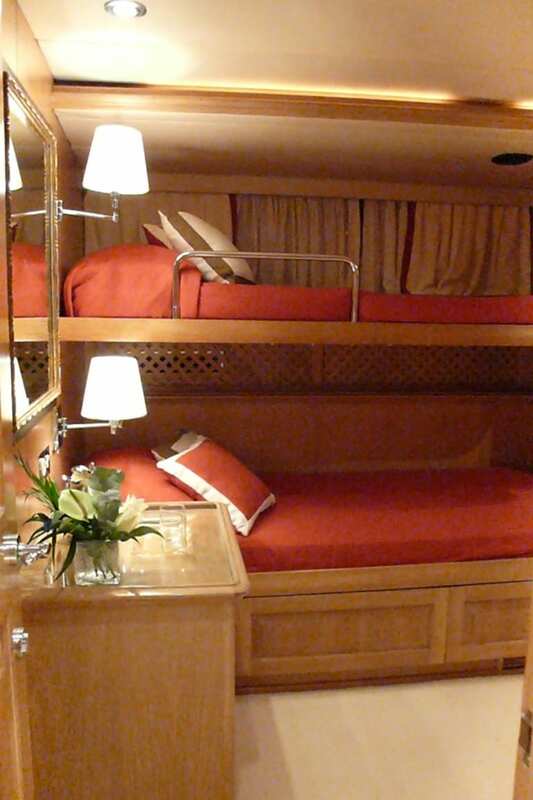 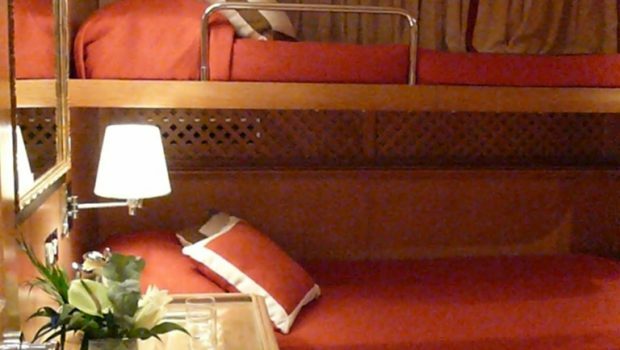 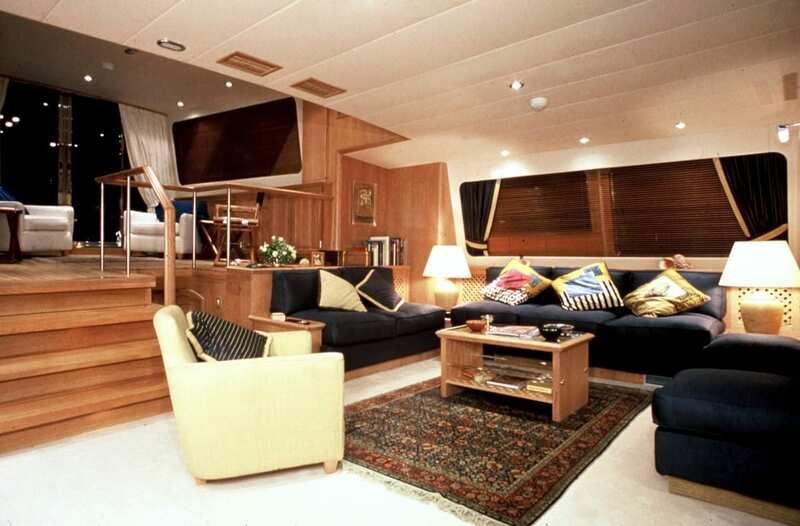 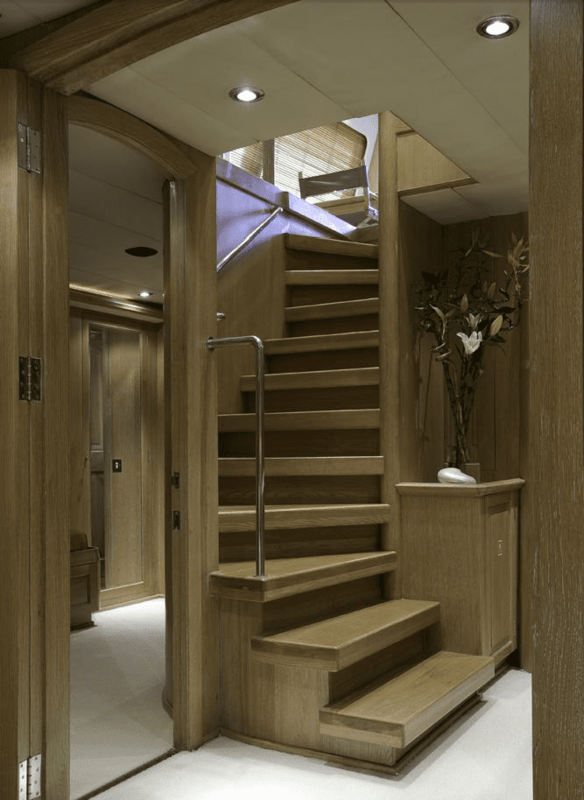 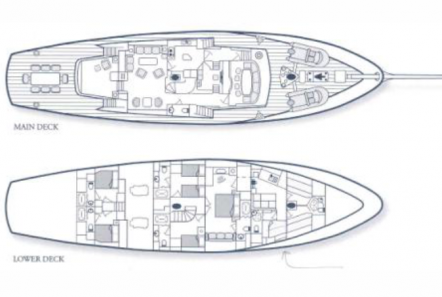 Her ample beam of 25 Feet allow for plenty of space on deck and inside the yacht for relaxing. 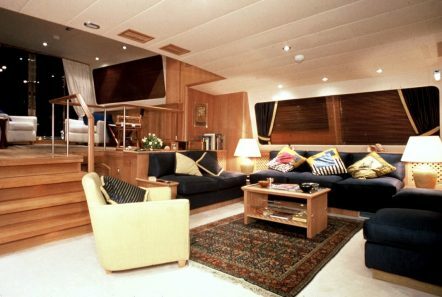 The spacious salon has two levels and in the interior fore there is a dining room with 360 degree views of the surroundings outside with large windows. 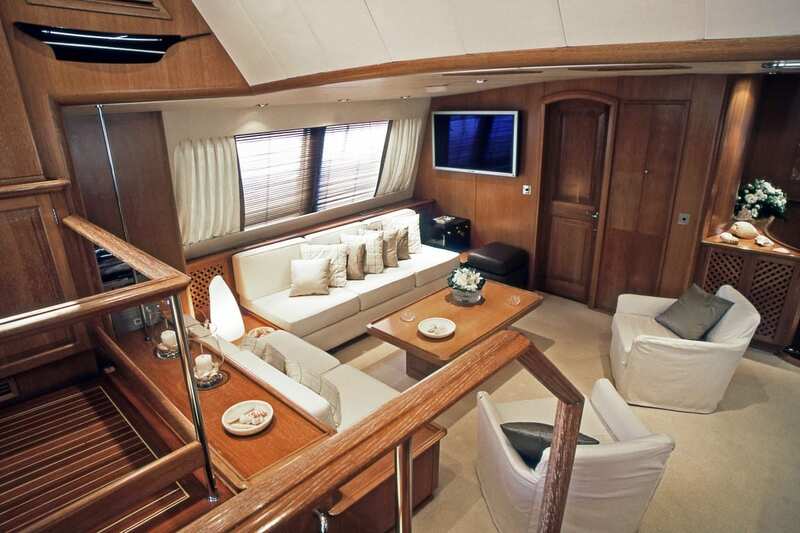 The salon has an LCD 48′ and DVD player. 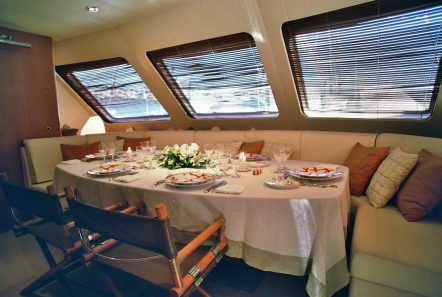 Outdoor dining is at the large table in the aft deck. 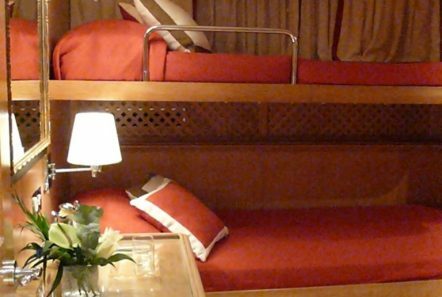 Accommodations are as follows: One Master (with LCD smart TV 28), two Doubles, one Twin with an extra Pullman berth and one cabin with Upper-Lower berths. 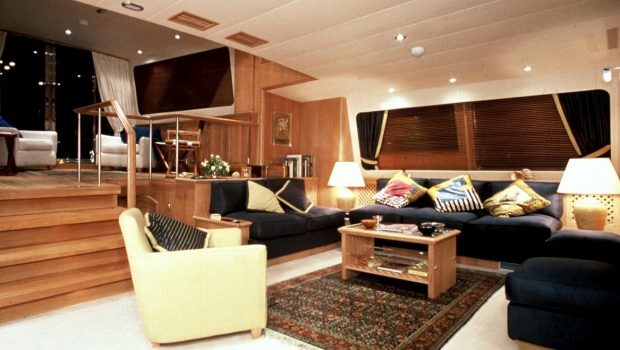 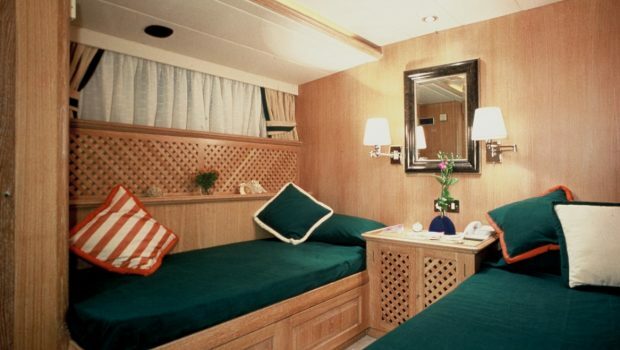 All cabins have en-suite facilities and TV with DVD/CD player. 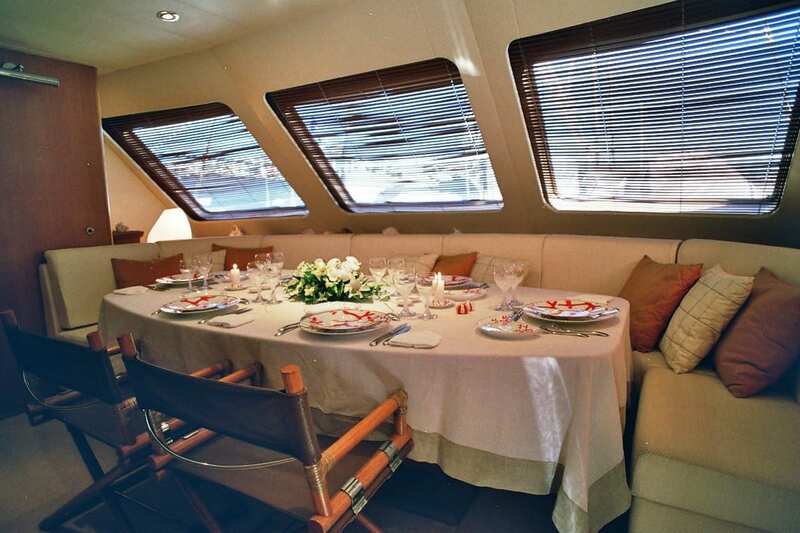 She features sun deck with seating area and table and room for lounging in the sun. 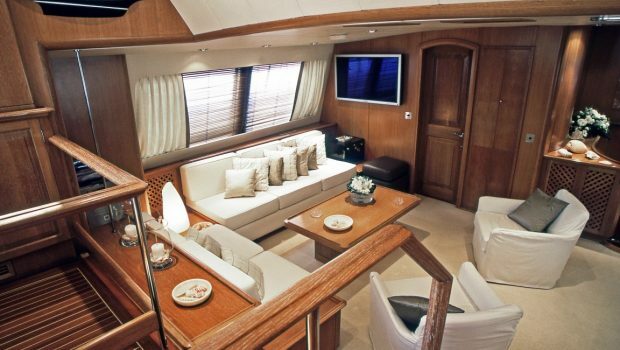 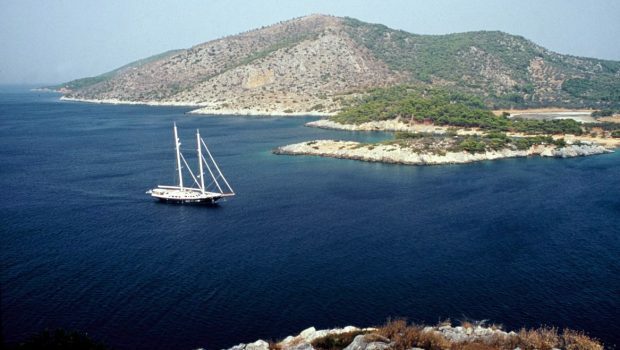 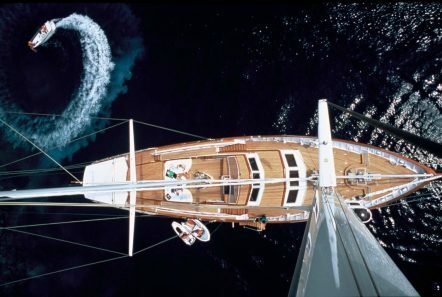 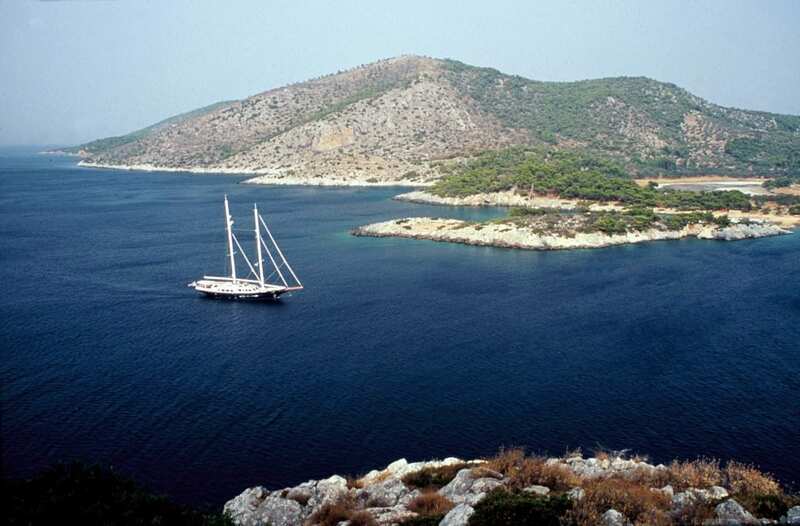 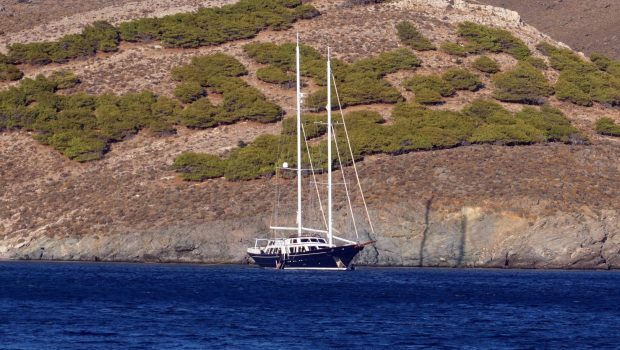 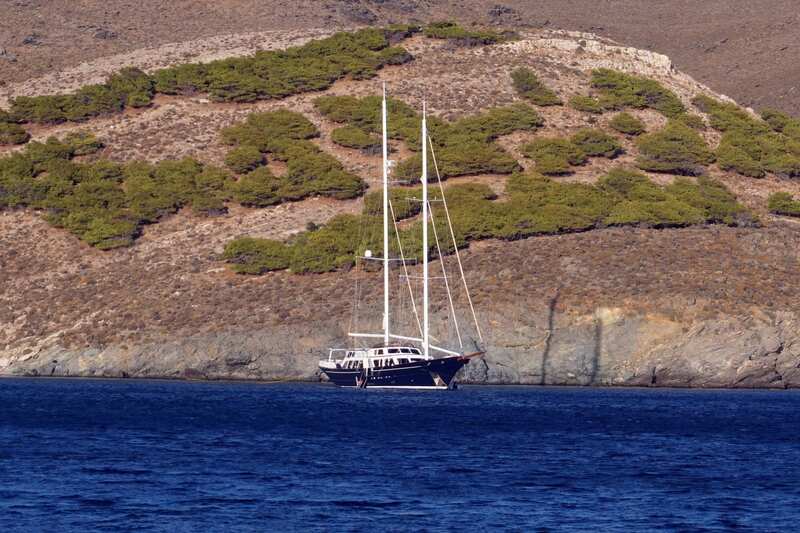 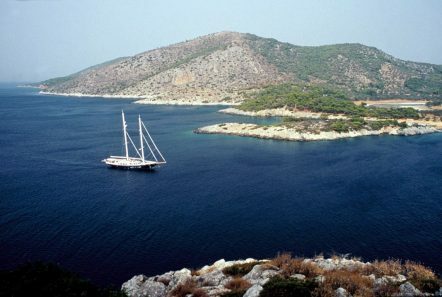 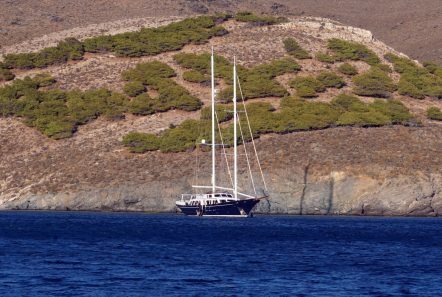 A crew of 6 attend to guests needs for a lovely charter.